What's Good at Trader Joe's? : Podcast Episode 1: Introducing Let's Talk TJ's! Click here to check out the show notes! And click here to subscribe on iTunes! It would be ideal to attach show notes and/or a transcript for the podcast. I'm deaf and it is a bummer that I cannot hear the podcast. That is all right. It takes time I know. Trader Joe's sources it's fresh bread from local bakeries, so those have the most variety of selection in between states. I hear California has some pretty awesome sourdough items I am jealous of! I have never heard any customer ask to take a picture in our store, and as a former store artist, I took pictures there all the time for my portfolio. There is a lot of pressure to protect the brand however, and policies can differ depending on location. May the the location you wanted to take a picture at had some issues stemming from picture taking previously. 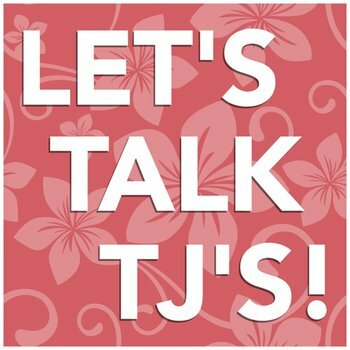 Our Tjs for instance, is close to the Canadian border, and they are on the lookout for people buying in bulk to sell to the Canadian "Traitor Joe's". We put a limit on cookie butter purchases once.